The turning of a new year symbolizes the turning of a new leaf for many of us, a chance to shed bad habits and start fresh. With a new year, we hope to see a new us. So what are the most common New Year’s Resolutions? Well, according to a 2017 survey, one-third of Canadians want to improve their fitness and nutrition. This has been by far the most popular ambition year after year. Next were those wanting to get their finances in order at 21%, followed by 13% wanting to travel more, 11% wanting to quit bad habits, 10% wanting to spend more time with friends and family, and 6% wanting to try something new. They all come down to improving our quality of life. So how can physiotherapy help? Considering that most of us want to improve our health each new year, why not start with the basics? Whether you’re trying to lose weight, get fit, or just be healthier in general, you may be surprised to learn that physiotherapy can play a big role in helping you meet your goals. A physiotherapist can recommend an exercise routine specifically tailored to you, your needs and skill level to ensure that you work out safely and effectively and that your risk of injury is reduced. A properly designed exercise plan can help establish a lifelong habit of physical activity, and personalized tools and knowledge will go a long way in helping you reach your goals. If you’re getting into a new sport (14% of Canadians want to do this to meet their fitness resolution), getting back into an old one, or starting a new workout routine, physiotherapy can be a powerful tool in your arsenal. Seeing a physiotherapist can help you prevent injuries before they happen. If you don’t know what kind of exercises you should be doing or if you’re having difficulty working out due to injury, pain or discomfort, don’t despair. Physiotherapists are experts in body mechanics and restoring and improving mobility. Physiotherapists also play an important role in health promotion and disease prevention for every stage of life. Physiotherapy is proven to help delay the progression of chronic diseases and prevent disabilities, not to mention that regular exercise, which is often part of physiotherapy plans, reduces stress by 50-78%. So, improving your fitness and nutrition now is directly investing in your future health. The “side effects” of improving your energy, mood, and self-confidence, plus having the satisfaction of sticking to your New Year’s resolution doesn’t hurt either. But beware, don’t be part of the staggering 78% of Canadians who don’t stick to their New Year’s resolutions! The overwhelming reason? Lack of motivation. Get ahead of the game and be SMART about it. 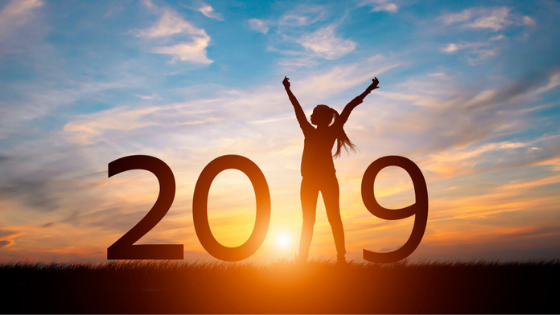 No matter what your goal for 2019 is, you’re in for some lifestyle changes. Keep in mind that it takes at least 21 days to change a habit, so don’t give up! Remember, everything worthwhile takes time, but your goals are achievable. Find a pt Health clinic near you to help you start the new year off on the right foot.